Concept Artwork of The Haunted Mansion is Fascinating! 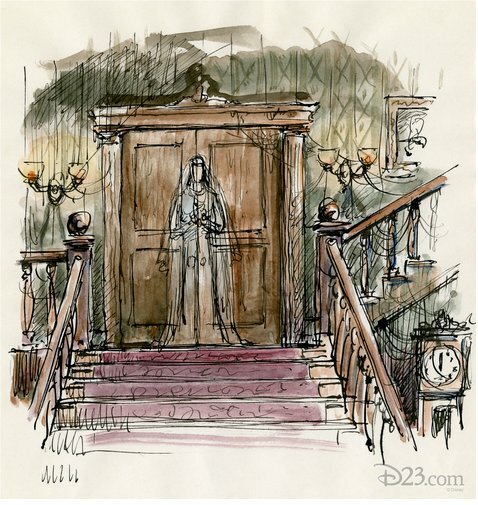 The Official Disney Fanclub D23 released artwork sketches of The Haunted Mansion for the D23 Fanniversary 2014. The haunting ride opened in 1969, and is truly a classic attraction at both Disneyland and Walt Disney World. A ghostly bride has been part of the myth and lore of the Haunted Mansion from very early on in the attraction’s development. This “dreadfully” colorful sketch helps highlight just that! 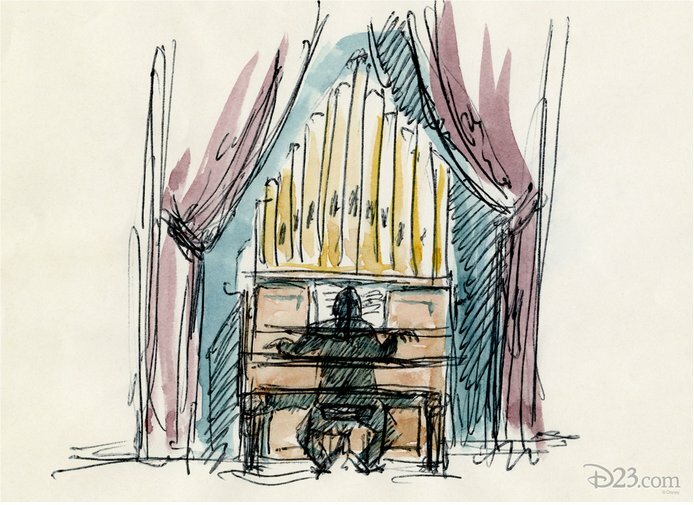 One of the most recognizable “happy haunts” from the Haunted Mansion is its “house” organist—seen here in an early sketch. For the complete story, and to see more original sketches, click here.